Buying has changed. Buyers now have more access to more information than at any time in human history. They are using this information to do a lot of the work in the early stages of the buying process without the help of a salesperson, like identifying their needs and evaluating options. It’s a fact. So what do I have against the new buying process where buyers do much of the work without the help of a salesperson? It’s acceptance. There are more and more people insisting that salespeople should change their game to adapt to the new buying reality. 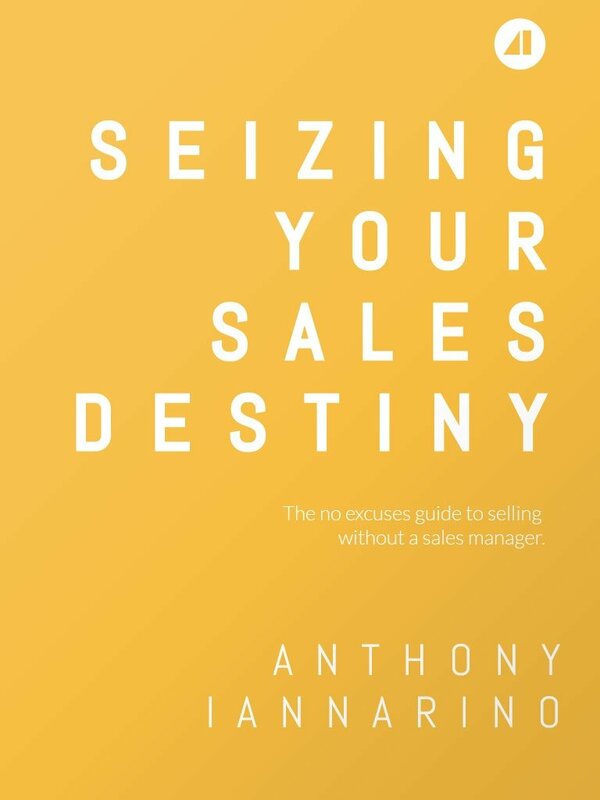 They insist that salespeople should wait until the client determines their own needs and reaches out and grants the salesperson permission to pursue their business. This is wrongheaded, bad advice, and criminal malpractice. No wonder salespeople are getting soft. They are being told that they should wait. They are being told that shouldn’t ask for the commitments they need. (If you have read this kind of advice, let this post be bleach for your eyes. If you have heard this, let this post burn the sounds from your ears). You should not accept that the changes in buying mean you should withdraw from the pursuit of your dream client. The most troubling thing about the ideas that salespeople should wait until the client decides to engage with them is that is implies that the salesperson can’t add value to the buying process. The truth is that not only can the salesperson create more value early in the buying cycle, it is there that the salesperson generates the trust, the relationships, and the understanding that allows them to win and execute for their client. We don’t tend think of a trusted advisor, a level 4 value-creator, as someone who shows up in the boardroom for the beauty pageant with a nice suit and a slick dog and pony show. We think of the trusted advisor as someone who spends time understanding her client’s business well enough to offer advice worth trusting. If you want to be someone worth doing business with, accept that the new buying cycle exists and that it is here to stay. Then, ignore any advice that you read or hear that suggests that it is your job to wait for your dream client to go through 65% of their buying process before communicating with you while you wait for permission. Ignore any source that suggests that you cannot create value early in the buying process, and that you should focus your efforts on being easy to find when your client decides they might be interested in your company. Instead, take action and aggressively pursue your dream clients. Instead, do everything in your power to be someone that your dream client knows and trusts to help them find their way through their buying process, someone they consider part of their management team. You can be more valuable than a website or a white paper (neither of which have the ability to hear or to care about people). Buying has changed. Don’t let those changes prevent you from doing what you need to do to create value and win your dream clients. What has changed about buying? How has that changed the way you create value as a salesperson? How much has the changes in buying made it more necessary that you move up the levels of value creation to something more strategic? What do you need to do to create value early in the sales process if you are to be more than a website or brochure?